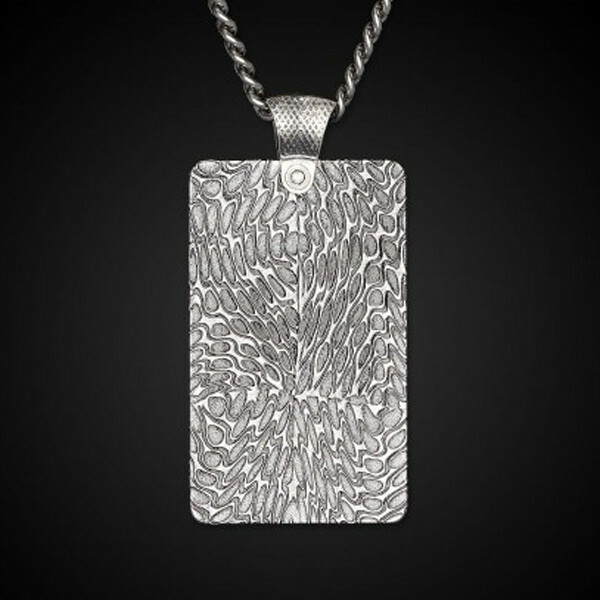 Identify yourself as a fashion-forward man with this William Henry dog tag pendant necklace from the designer's Pulse collection. 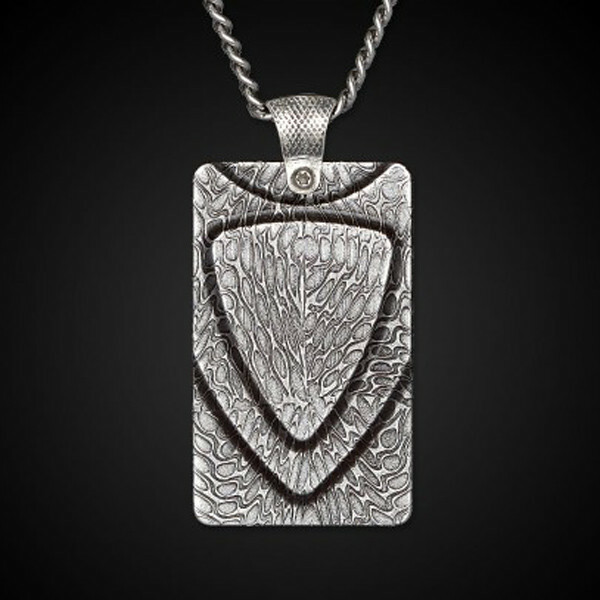 Hand-forged in Damascus steel with a stainless steel 22" chain, the rectangular pendant, hanging from a textured sterling silver bail, features a shield design on the front and reverses to an allover pattern. This William Henry necklace is sure to be one of your pet pieces of jewelry!